This 2 bedroom 2 bath condo is set in a quiet and private location within Timber Run, adjacent to the bike path on the ground level. 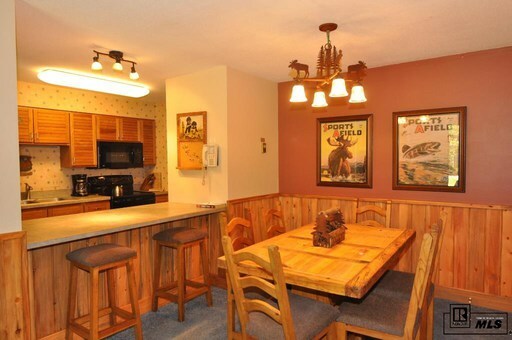 New blue stain pine wainscoting in the dining area and entry set off the knotty pine solid wood doors and 5" trim that is found throughout the condo and enhance the mountain cabin rustic decor with an upgraded furniture package. Beveled counters, wood blinds in the bedrooms, new drop lighting and kitchen and bathroom fixtures exude pride of ownership along with the newer (and matching) kitchen appliances. The patio invites you to enjoy the afternoon sun with a cool beverage in the summer, and keeps it sunny in the winter. A short walk to the pool, hot tubs, and tennis court, this condo is fully furnished and turnkey - just bring your own suit and skis and racquet! The amenities also include a clubhouse and business center. 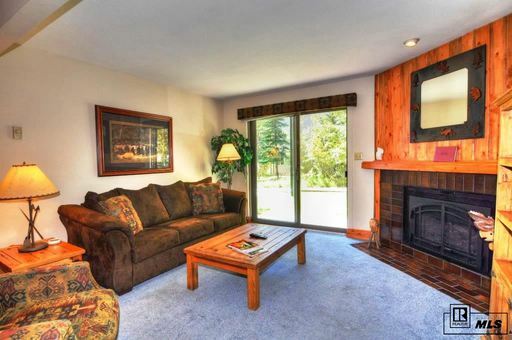 Located on the Steamboat Springs city bus route, residents and visitors can also take advantage of the winter shuttle service and on site check-in, which is great for rentals year round.